Lying on my back, looking up at the rock-strewn slope that I had just tumbled down, I realised that I finally had something to blog about. After the excitement and problems of China, I have found it hard to knuckle down and write my first blog post from the New World. Instead of mammoth desert marathons, snowbound mountain passes and tedious logistical difficulties, the past few weeks have been relaxed, pleasant, stress-free cycling. In short, not great blog material. However, this new approach to cycle touring has been a welcome change after the trials and tribulations of China. I loved my time in China, but there is something to be said for being able to walk into a supermarket and purchase exactly what you want, without fearing that it might contain chicken feet or rotten eggs. 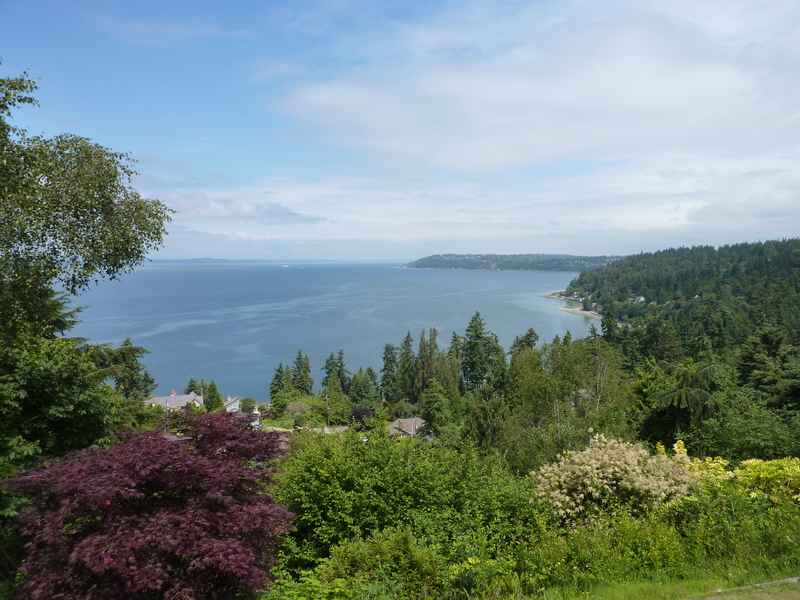 My first few days in the States were spent exploring the islands to the west of Seattle, whilst simultaneously taking advantage of the generous hospitality of the area’s friendly Warmshowers hosts. 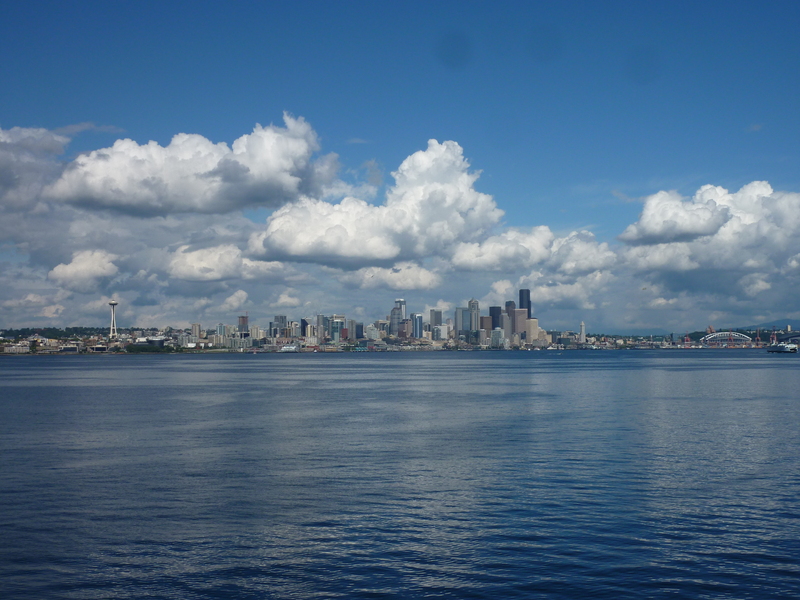 Following some time spent being a normal tourist – sightseeing in Seattle with a friend from home, I began my journey north, towards America’s liberal little brother. After only a couple of days’ of cycling, I crossed the border and entered the land of maple syrup, ice hockey and apologies. However, very little seemed to change. 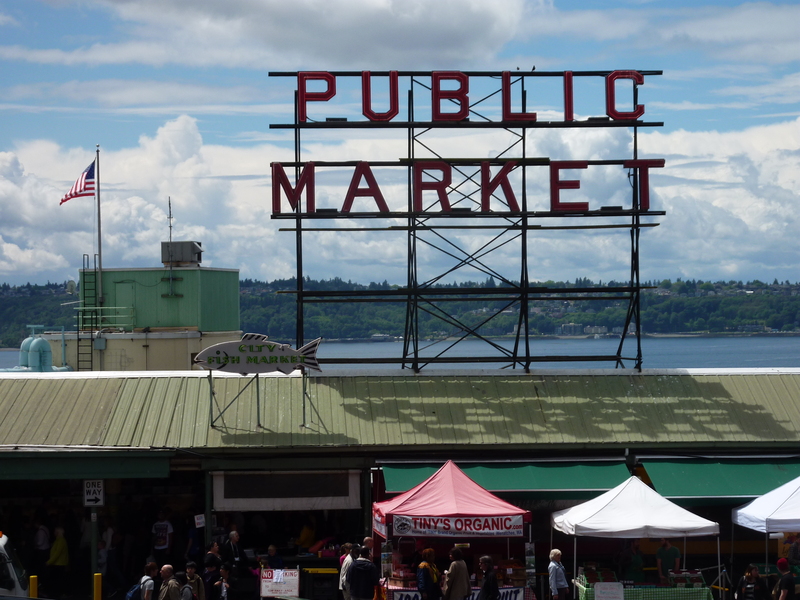 The main difference that I noticed was that, rather than the surly greeting I received at immigration in Seattle, a friendly Canadian welcome awaited me. Unfortunately, this amicable attitude didn’t stop the border guards interrogating me at length. 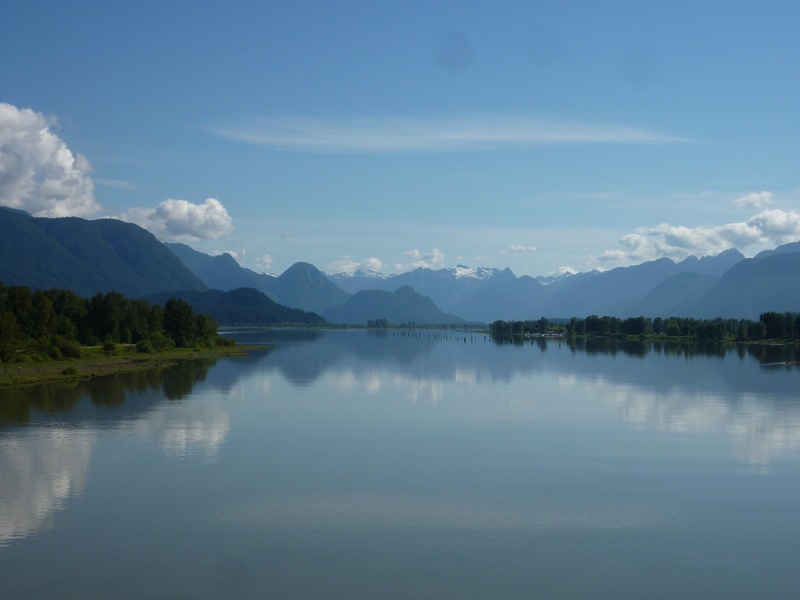 Finally, I was granted a month’s stay in Canada, which was as much as they were willing to give someone who could not prove his financial resources extended beyond a grubby $20 note. 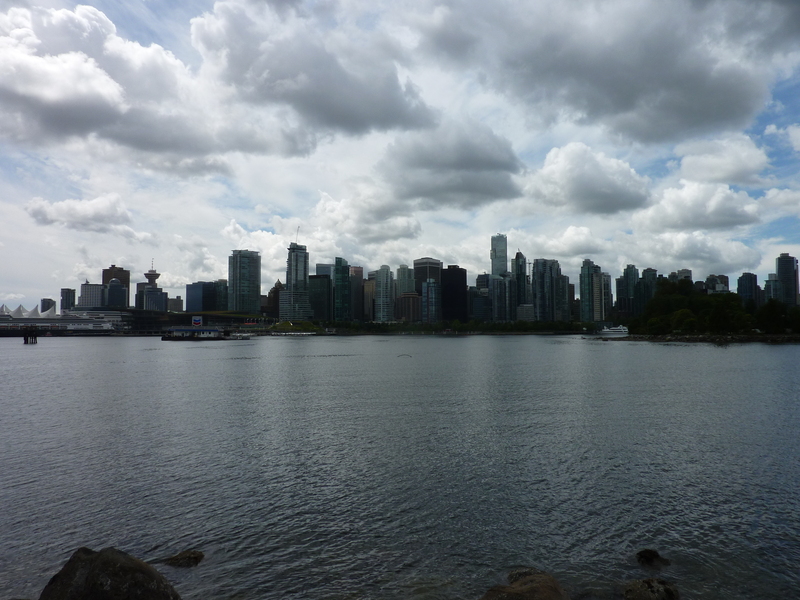 Allowing myself the luxury of a day off to explore Vancouver, I was given a whistle-stop tour of the city by a friend-of-a-friend. And then, eager for my first taste of the Rockies, I set off east, towards the quiet town of Hope. 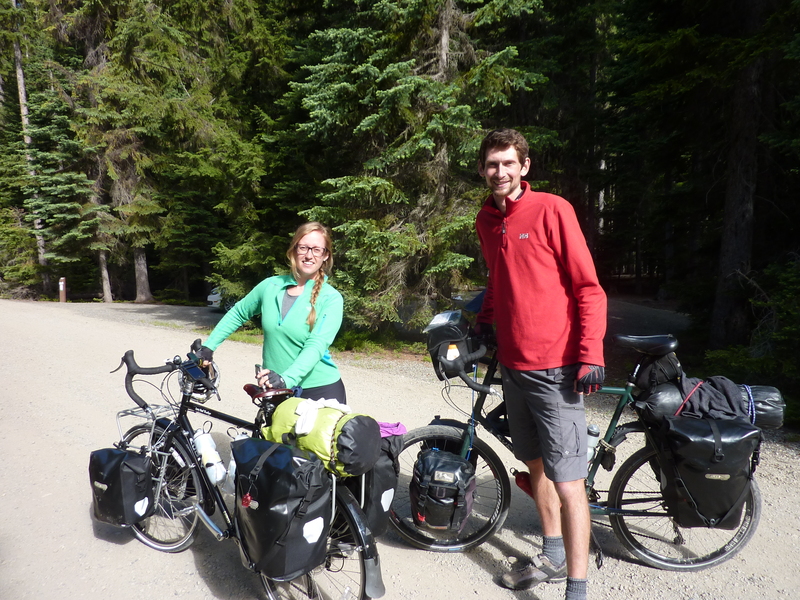 Here, I met Megan, who was just beginning her first ever cycling tour; across Canada from west to east. We were both staying at a Warmshowers in the town and I had obtained us a place to sleep inside (rather than camping on the lawn) by way of not looking like a psycho/kleptomaniac and agreeing to take our host’s dogs for a walk. Bargain. With a 1200-metre-high climb looming the next day, I was amazed when Megan confessed that she had never tackled anything more than small hills. Agreeing to share the cost of a campsite the following night, I promised to wait for her at the top of this colossal ascent. 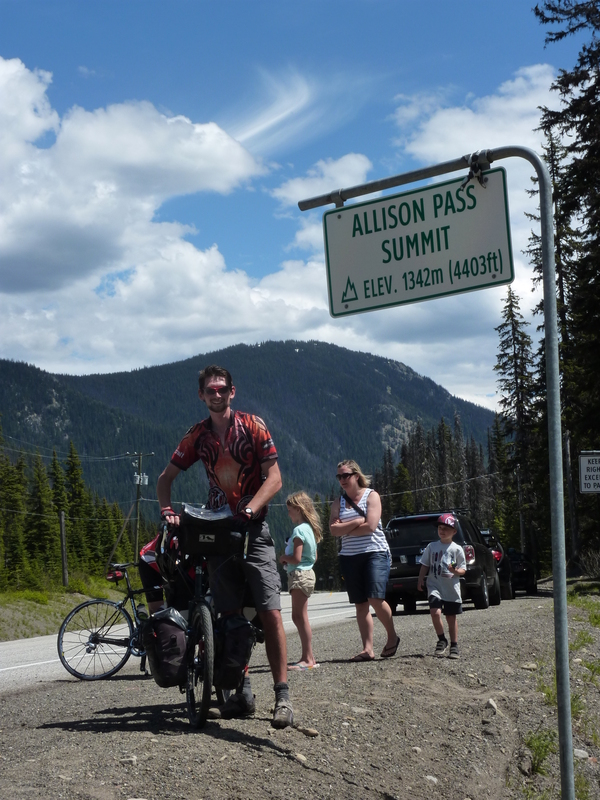 When, at around two o’clock the next day, I finally conquered the beast and dragged my aching body past the sign proclaiming ‘Alison Pass’, it was with some surprise that I was met with cheers and clapping. A charity ride was taking place along the same route and it was with some pride that I was informed that I was now referred to as ‘the craziest of the crazies’ by the support team. This was apparently due to the amount of kit and speed with which I had undertaken the climb. After two hours of waiting for Megan to appear, I was beginning to become a little concerned. But the constant trickle of charity riders on carbon fibre bikes reassured me that I should not yet be worried. Finally, she appeared on the horizon, sweaty and tired-looking, but smiling. I remember the first time I undertook a climb of a similar magnitude and my arrival at the summit was swiftly followed by me collapsing onto the grassy verge beside the road. There was certainly no energy left for a smile. 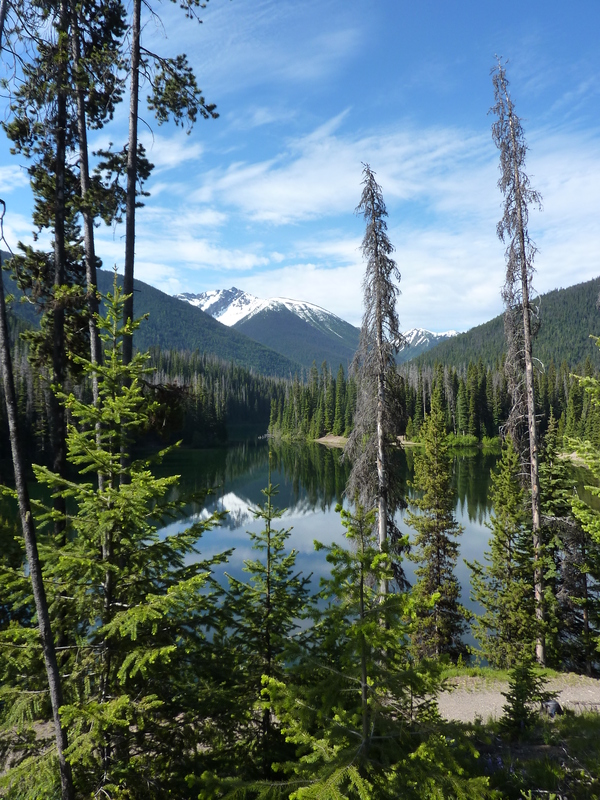 The next day, I set off alone and began to work my way past mountains, lakes and forests, towards the city of Kelowna. After a night camped beside a cyclist-friendly B&B, I switched to muddy forestry tracks and soon left the last vestiges of civilisation behind. As I ground my way up thickly wooded vales, my bike and I were soon coated with a thick layer of clinging mud; the price for taking this idyllic shortcut. Soon the landscape began to change and the valleys opened out. 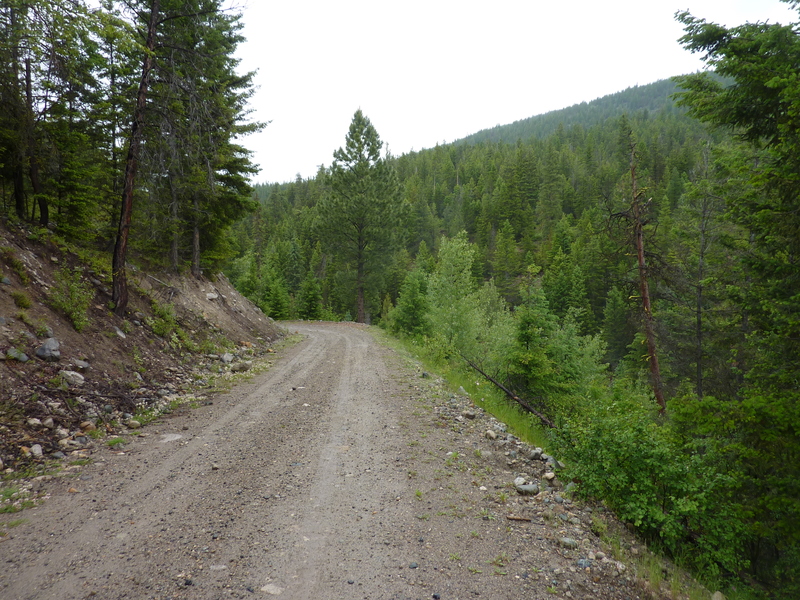 I caught my first glimpse of the Okanagan Lake, lying far below. 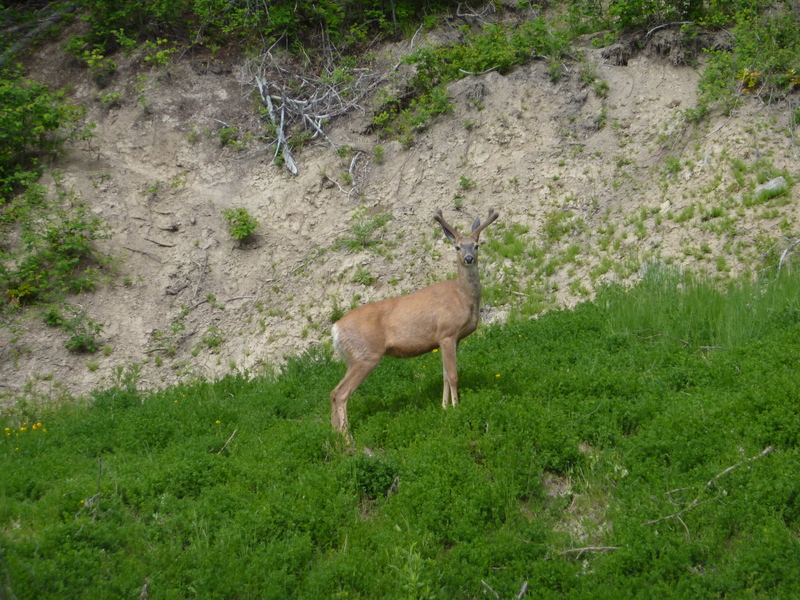 It was at this point that nature seized me and unwittingly provided me with something to write about. With the centre of the track churned up into fluffy sand, I was being forced to cycle on the edge of this treacherous surface. 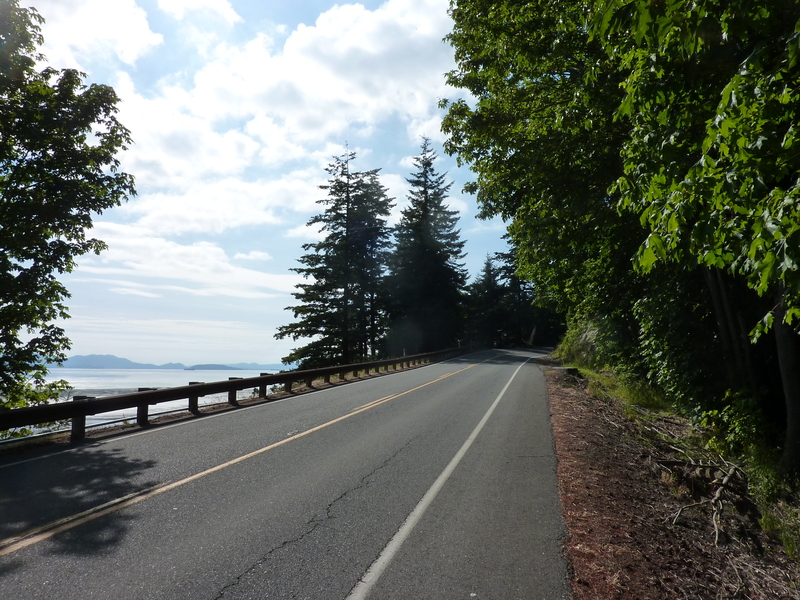 Suddenly, without warning, I hit a patch of sand and my handlebars jerked to the right. Almost simultaneously, the front wheel was sucked into a narrow gully that ran down into the ravine below. For a split second I teetered on the edge, aware of what was to follow, but helpless to prevent it. Then I fell forwards and rolled, almost comically, down the steep slope. Stopping just before a not-very-soft-looking tree trunk, I was unscrambling my brain, when my bike came bouncing down the slope after me. Frantically clawing at thin air, I attempted to catch it as it passed. Fortunately, the very tree that had nearly caused me a great deal of pain caught the bike in its branches, stopping it. Suspended upside down, it balanced precariously. As I righted myself, I was amazed to find that I had suffered only a few minor scratches. My possessions now scattered the sandy slope, so I began the laborious task of clambering back up to the track with bike and bags. Once everything had been collected, I set about assessing the cost of this momentary lapse in concentration. It soon became clear that both man and bike had suffered a relatively lucky escape. The only serious damage was to my waterproof, which had suffered a nasty rip, and my camera (borrowed from Andrew, unfortunately), which now refused to extend its zoom lens. After a far-more-careful couple of hours of cycling, I made it to Kelowna, where Nichola lives. Here I will stay, until my new cycling companion arrives. Undoubtedly nursing a colossal post-university hangover, my brother, Mark, is flying out to join me at the end of the week. Bringing his old road bike, he has told me that dirt tracks are definitely off the menu. For the moment, that might be for the best. Enjoying reading your wonderful tale….keep it coming & good luck!! Ha, I definitely know the climb you are talking about. Also: great to find out about my camera like this. I messaged you before I posted this… Didn’t I?